DOWNERS GROVE, IL –The Illinois Tollway will celebrate Arbor Day on Friday, April 28, by giving away 7,500 tree seedlings and 7,500 pollinator seed packets to customers at its headquarters and oases locations throughout the Tollway system. As part of its efforts to increase environmental benefits and sustainability, the Illinois Tollway is working to enhance aesthetics and expand tree canopy coverage along the Tollway system. In addition, the Tollway is continuing its pollinator program to restore and create habitat for monarch butterflies and other important pollinators. On Arbor Day, Friday, April 28, the public is invited to stop by Tollway headquarters in Downers Grove or one of seven Tollway oases to pick up tree seedlings or seed packets beginning at 7 a.m. and continuing while supplies last. Follow us on Twitter @ILTollway for updates from locations when supplies are gone. Locations include the eastbound Des Plaines Oasis and the Belvidere Oasis on the Jane Addams Memorial Tollway (I-90); the Lake Forest, O’Hare, Hinsdale and Chicago Southland Lincoln oases on the Tri-State Tollway (I-94/I-294/I-80); as well as the DeKalb Oasis on the Reagan Memorial Tollway (I-88). The Tollway will offer four varieties of tree species including shagbark hickory, red oak, pin oak and pecan that are native to Northern Illinois, along with information for planting care provided by The Morton Arboretum. In addition, the wildflower seed packets offered by the Tollway include two native flowers: monarda fistulosa (wild bergamot) and rudbeckia hirta (black-eyed Susan) and will cover an area up to 25 square feet. These are drought-tolerant, full-sun species and will provide pollinators with an abundance of nectar throughout the summer. The Illinois Tollway is committed to balancing the environmental impacts of its roadway projects through its implementation of wetland mitigation landscape projects that have local and regional benefits. Partnering with The Morton Arboretum, the Tollway is working to determine a diverse list of tree species that will be planted along the 292-mile system. The Tollway’s landscape master plan is part of the agency’s goal to plant 58,000 trees, shrubs and other native plants on Tollway property. 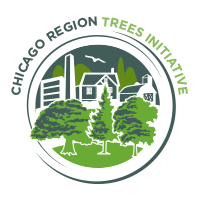 The Tollway’s efforts support the Chicago Region Trees Initiative established in 2013 by The Morton Arboretum and a collaboration of Chicago-region partners to develop and implement a strategy that builds a healthier and more diverse urban forest by 2050. The landscape master plan will also include the seeding of native grasses and flowers in keeping with the Tollway’s pollinator program goals. Working with The Conservation Foundation, with input from the Xerces Society, local nurseries and the Illinois Natural Resources Conservation Service, the Tollway developed a unique seed mix for use along Tollway right-of-way. These efforts are part of the agency’s pollinator program to enhance and create habitat for monarch butterflies and other important pollinators along tollway roadsides throughout the 12 counties the Tollway serves. The Illinois Tollway is a user-fee system that receives no state or federal funds for maintenance and operations. The agency maintains and operates 292 miles of interstate tollways in 12 counties in Northern Illinois, including the Reagan Memorial Tollway (I-88), the Veterans Memorial Tollway (I-355), the Jane Addams Memorial Tollway (I-90), the Tri-State Tollway (I- 94/I-294/I-80) and the Illinois Route 390 Tollway.